What is your favorite internet browser? Discussion in 'Windows OS and Software' started by Ultra Male, Dec 8, 2018. I'm always plugged in, so I use Chrome. Well not really, but I used it even as it evolved into Mozilla and later Firefox....... 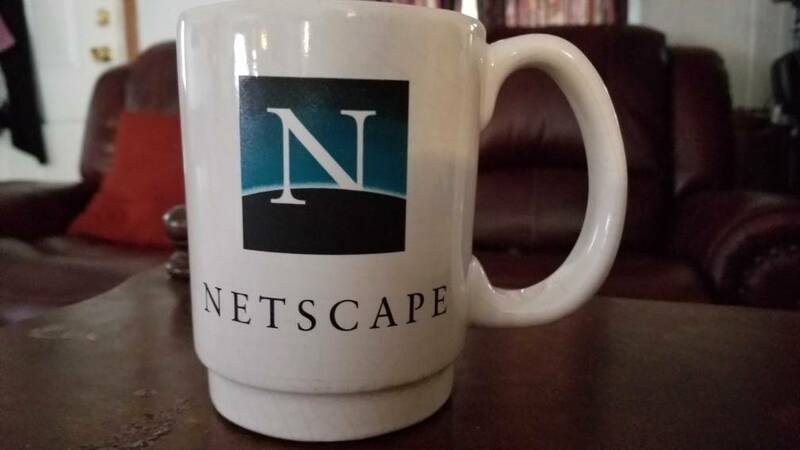 I still have a coffee mug with the Netscape "N" logo on it. Riley Martin, steberg and jclausius like this. Google is working on the Chrome extension manifest version 3 at the moment which defines the capabilities of Chrome's extensions platform. The updated manifest is available as a draft currently that anyone may access. Draft means that it is not set in stone yet and that things may change. Google will release the updated version of the manifest eventually though and make it mandatory after a transitional period. Interested users and extension developers may follow the tracking bug, issue 896897, on the Chromium Bugs website. Google plans to remove blocking options from the webRequest API and asks developers to use declarativeNetRequest instead. One of the main issues with the suggested change is that it made to support AdBlock Plus compatible filters only and would limit filters to 30k. Hill mentioned on Google's bug tracking site that the change would end his extensions uBlock Origin and uMatrix for Google Chrome. While it would be possible to switch to the new functionality, it is too limiting and would cripple existing functionality of the content blocking extensions. If this (quite limited) declarativeNetRequest API ends up being the only way content blockers can accomplish their duty, this essentially means that two content blockers I have maintained for years, uBlock Origin ("uBO") and uMatrix, can no longer exist. The new API would limit content blockers for Chrome-based browsers and eliminate options to create new and unique content blocking extensions. All that would be left are AdBlock Plus like filtering extensions that would all offer the same blocking functionality. While there would still be adblockers for Chrome, the limit of 30,000 network filters would make even those less capable than before. EasyList, a very popular blocking list, has 42,000 filters and if users add other lists used for other purposes, e.g. social blocking, that number would increase even more. You can follow the discussion on uBlock Origin's GitHub page as well. Riley Martin, Papusan and Vasudev like this. First kill the old nice GUI with the change to the stupid new rounded look, then Kill Ad Blockers. Riley Martin, Vasudev and inm8#2 like this. I'm in the process of moving back to Firefox as Chrome gains more control over the user experience. Mozilla isn't without issues and everyone wants a piece of the Ad market, but Google is an Ad company first, and it's in their best interest to maximize advertising within their product. Riley Martin, Vasudev and jclausius like this. about:config in bookmark toolbar is exactly what I like about FF. Ive been called worse than an idiot though, no hard feelings! Cool thread. Vivaldi piques my interest again after reading through, its been a minute. Chrome isn't my bag, but I use Brave as a back-up. FF, Waterfox, Palemoon all make sense to me. uBlock origin and uMatrix are invaluable. Raymond Hill gives us a Jonas Salk type gift for Internet browsing. Newest FF peppered with addons above & the Github/ghacks user.js works great... fast, lowered resouces. My only beef w/ newer FF (post 63+/-?) is the inability to turn-off auto-update checks. Getting coffee this morning. Ahhh Netscape, my old friend lol! Aivxtla, Vasudev, Ultra Male and 4 others like this. Whoaaa!! I forgot about that browser! Loved it back in the day as it made my internet faster while being on 56K Dialup! Bobbert9 and Vasudev like this. Honestly never seen Netscape Nav, since I only saw it in textbooks. Bobbert9, Ultra Male, Vasudev and 1 other person like this. How to get my edge favorites from my iphone to my windows 10 computer? Modem Recommendation To Replace Internet Monthly Fee?